This was a really valuable session and an excellent introduction to QI. Delivery was excellent. Good interactive session, helped me to understand how to structure projects. Offers an insight into ways to improve work place frustrations. I would say I am very keen to undertake a project after this. Very logical stepwise approach – I went and told my consultant about SMART aims and PDSA. Helpful to do a mini QI project in groups. Really interesting, enjoyed the group work and learnt a lot. Good to know what trainees are instructed to do and how to guide them. It as given me a structure to work from – for me personally nevermind the trainees. I came with complete ignorance and left with considerable knowledge and a plan for the future FY’s I am supervising. Excellent – well delivered session. I really enjoyed the interactive examples of good and not so good QI projects. How would you rate the RELEVANCE of the teaching to you as a Junior Doctor? How would you rate the QUALITY of the teaching? 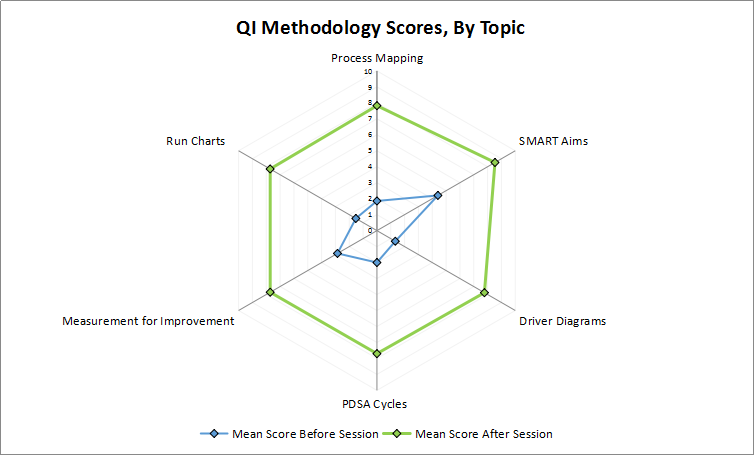 Trainees are asked to rate their knowledge of various QI concepts before and after training sessions. 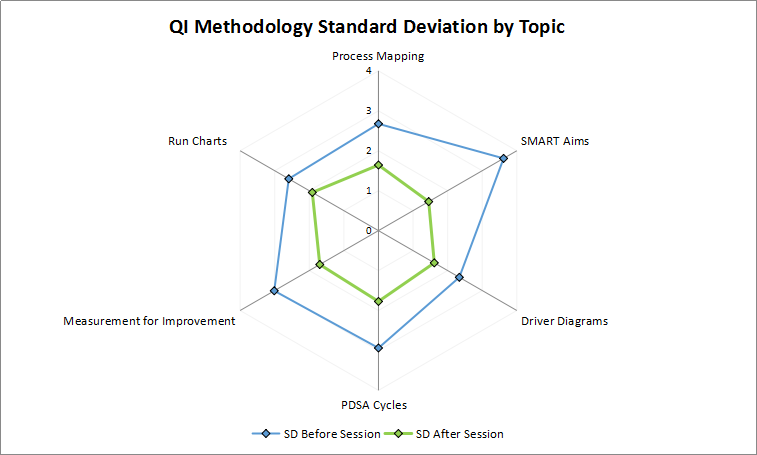 The data shows TIPSQI sessions both increase knowledge and reduce variation in levels of knowledge between trainees and NHS Trusts. © Trainees Improving Patient Safety Through Quality Improvement, 2018.